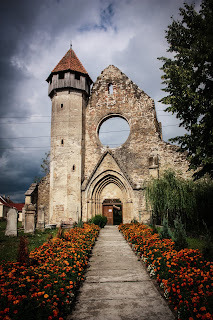 Transylvania is a part of Romania, and has been since 1919. 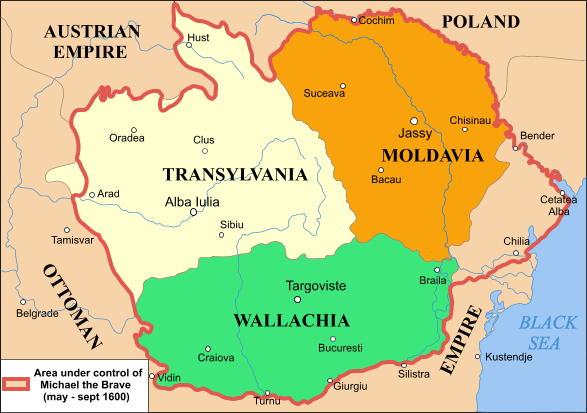 However, in 1940 part of Transylvania became a part of Hungary. 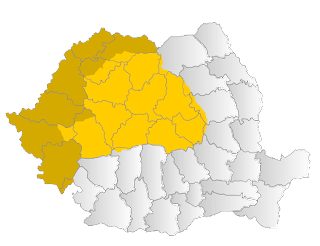 At the end of the Second World War, the territory known as Northern Transylvania was returned to Romania. 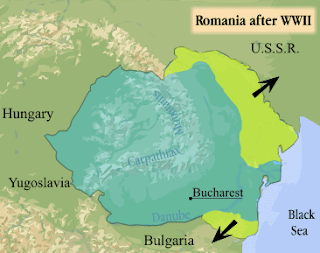 It is interesting that the lands that were given to Soviet Russia were not returned to Romania, and the land that Bulgaria received was also not returned. The map above shows what Romania looks like now, and it is very interesting to compare it to the map below that shows Transylvania, Wallachia and Moldavia in 1600. In the second picture, close to the border of Transylvania, you can see the Austrian Empire. 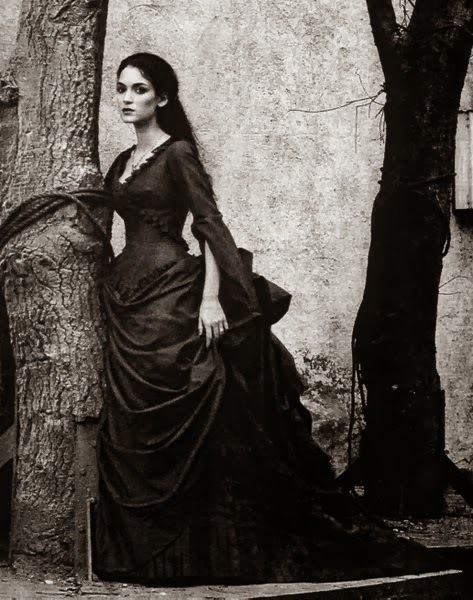 The Ottoman Empire lies below Wallachia. A truly interesting and important change in Romania and the united principalities after World War II is that Romania now borders the Black Sea. It is also interesting that at the end of World War II and in 1600, the King of Romania and the person who united the three principalities were both named Michael.